This page is not accessible from the main navigation of the NicDiPalmaCreative website. If you want to explore our site, be sure to bookmark this page or go back through your browser history to return. 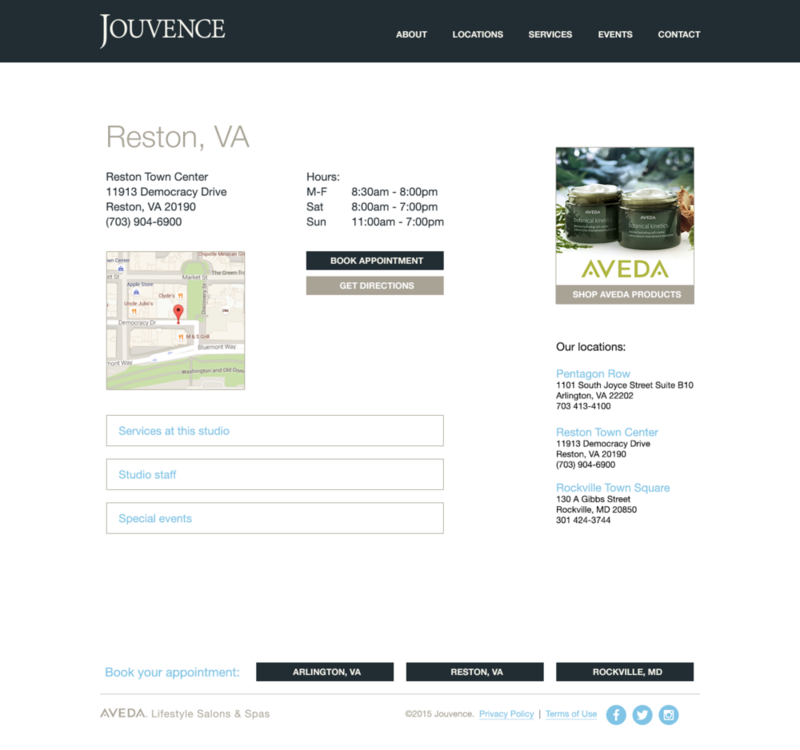 Jouvence has an established name in the industry and the DC, MD, VA area. While the partnership with AVEDA is still an important, valuable connection for customers, as well as Jouvence, there's only one word that makes us unique. "Where do you go for great style, to relax and be rejuvenated?" Click to visit Jouvence Salons Facebook page. 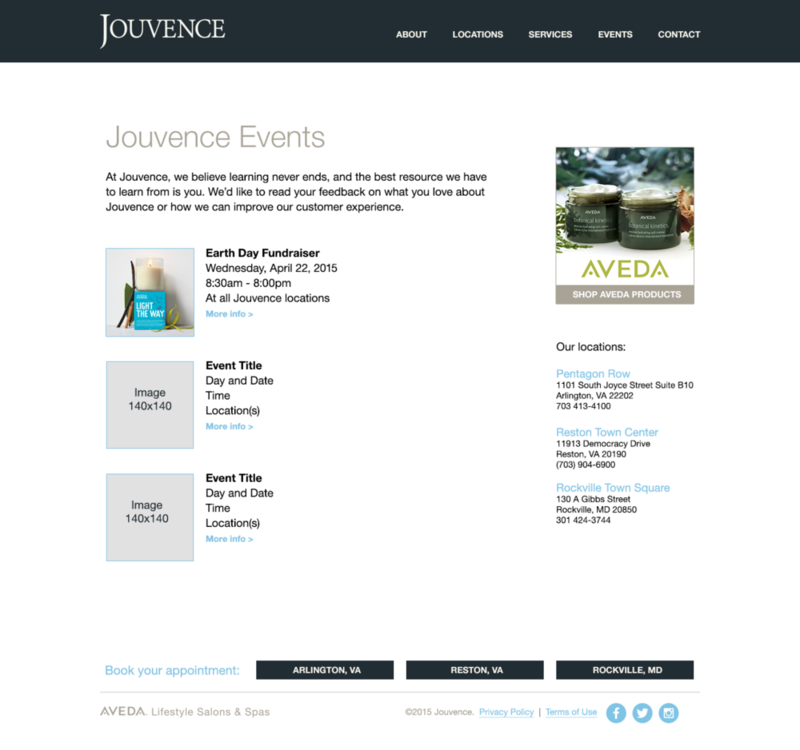 Click to visit Jouvence Salons Twitter page. Part of this rebranding project was to build a more cohesive and consistent social media strategy for Jouvence. We developed a custom training experience with 3 online sessions using Google Hangouts. Enjoy! Brand development and management is a practice that continues throughout the life of a business. It's never finished.